Afc Coming Attractions-Love Hina, Sparrow’s Hotel and More!!!! Well spring is in the air and so is the wonderful world of anime. So here is what’s to come from AFC. 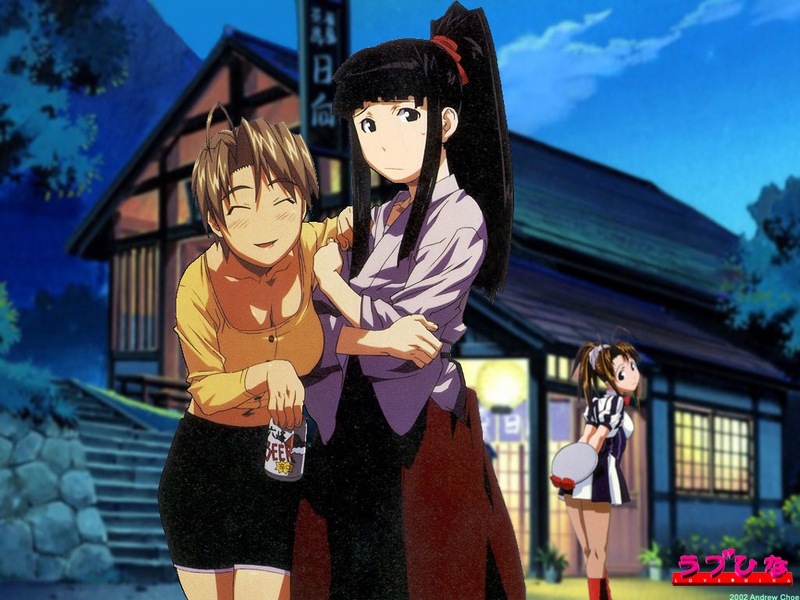 Well for starters, I have a review of the anime series Love Hina in which your going to enjoy. We will also look at the spring special since it’s spring. 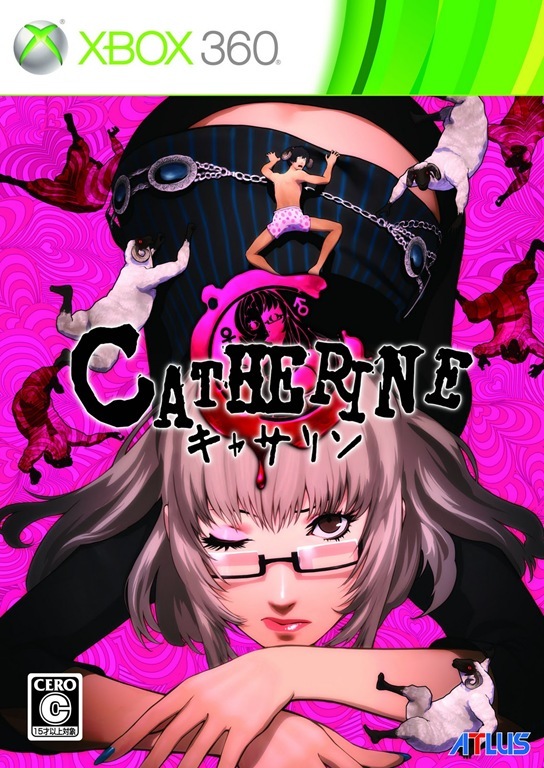 I have to admit that this is a great series in which I had a ton of laughs, but that’s not the only thing you will see. 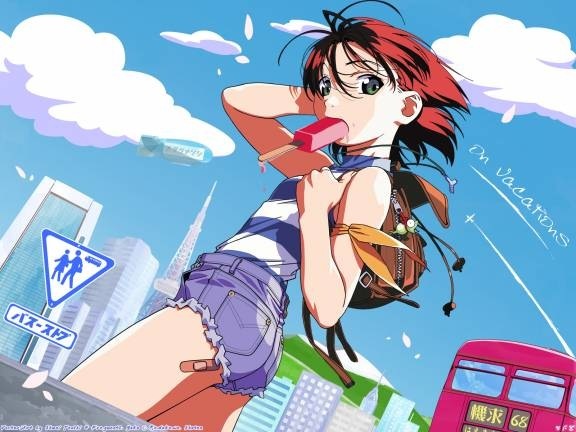 I will also share my first impressions of all of the spring anime series including Sparrow’s Hotel, Devil Survivor 2 and Mushibugyo along with a few series that we didn’t get to cover. And finally we also have a review of Claymore in which is going to knock your socks off. So get ready anime fans, spring has sprung for AFC. Afc Coming Attractions-Pokémon Black Gameplay, Anime March Madness 2011 and Much More!!!! Well spring is around the corner and that means that we will have a lot of interesting things going on for the month of March. But besides watching the NCAA Tourney and getting ready for Easter, check out the things that we have coming up this month at Afc. Trust me, you are going to like what you will see. 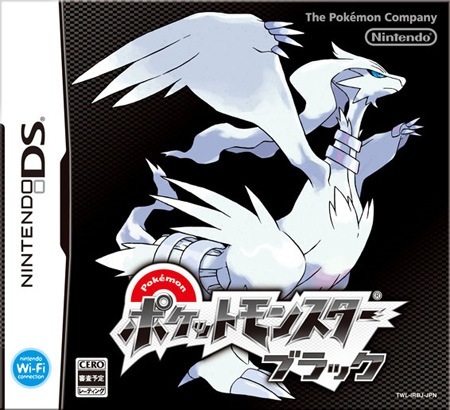 First off, Pokémon Black and White will be on sale starting tomorrow and for those of you who are planning on getting a copy or if you just want to find out what the game is like, we will have exclusive gameplay coverage in which I will give you an inside look at the latest version in the Pokémon game franchise. Updates will be on a weekly basis, so make sure to check in every week to follow my progress thru the game. Second, anime march madness is back and will be better than ever. Twenty-Two of your favorite anime, manga and video game characters will compete in a head to head match to determine who is the best of the best in 2011. For those of you who followed last year’s tournament, the stakes will be higher and the name calling and body bashing will be exciting. The fun and excitement will begin this Thursday with match-up one (Competitor’s to be announced) so don’t miss the exciting action as Anime March Madness kicks off this Thursday, be there or be square. Finally,we will be taking a look at some of the new anime series that will be premiering this season. I will have my picks for series that will be must see viewing, series to avoid and others that I will take a glance at. We will also have a feature review from a reader in which he will share his thoughts on the Hayao Miyazaki classic “Only Yesterday”. And speaking of Miyazaki-san, I know that I have been promising that I would be doing this tribute to him for a while now but I am keeping my word that our tribute to Hayao Miyazaki will begin this month with “Howl’s Moving Castle”. I know that I meant to start this special series a year ago, but since I was in school at the time and that other things were going on, I figured it was time to get back on track with this. All this plus, news, reviews and videos coming your way this month only on Afc. So until next time, remember that there is a ton of great anime and manga out there. All you have to do is find it, Ltrs. Now I know what most of you guys are thinking right now, why the heck haven’t I been posting as much as I had been? Well here is a little visual aid to help you answer that question. Oops, wrong picture!!!!!!!!! Here is what I really mean!!!!! And as you can tell by this picture, I am completely under allot of stress at the moment with final exams coming up and to be honest I am a bit of a nervous wreck!!!!! However, I just want to take a moment to let you guys know what is going on with Anime Full Circle in the weeks to come. 1) I have a ton of reviewing to do with the series Working!! and I started to work on my first part of my salute to Hayao Miyazaki with Howl’s Moving Castle so expect to see reviews on those in the next few weeks. 2) Now that were only a few weeks away from the official start of summer vacation, I have something special for all of you. Therefore I am happy to announce that in the next few weeks, were going to be doing our first annual Big Otaku Summer!!!!!!! 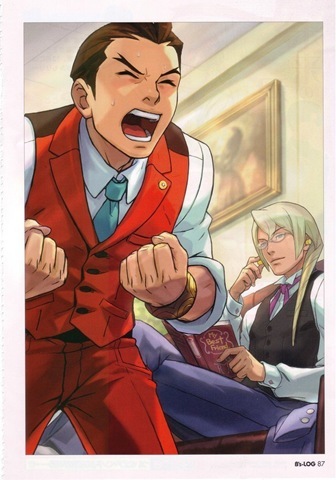 So what is Big Otaku Summer you may ask? Well Big Otaku Summer is going to consist of more of the segments that you come to expect from AFC including reviews, amv’s, commentary and much much more. I also thinking about doing some contests for you guys as well, but we will see how things go. I will have more details on this in the coming weeks so stay tuned for more. So in closing, I just want to say thank you guys so much for staying with us during this crazy moment in my life. Hopefully when these next two weeks are over, things will go back to normal. I hope!!!!!! So until next time, remember that there is a ton of great anime and manga out there. All you have to do is find it. Ltrs. P.S. And for those of you who are wondering how we are doing in the Ani-Blog Tourney, well I have to say that unfortunately the Ani-Gamers totally kicked our butts. I will have a consession speech posted tomorrow. So congratulations Ani-Gamers on your victory and good luck in the next round!!!!!!! “Were Looking Good!!!!!!! !” Voiceover: Anime Full Circle is looking good this month, here is what’s you’ll see in the weeks to come. Ok ok, I know that sounded a bit corny, but I kind of borrowed that bit of an old CBS promo from the late 70s. But all kidding aside, lets get down to business. I have some interesting things planned for Anime Full Circle over the next few weeks, first we are going to kick things off with a salute to one of the greatest directors in the history of Japanese animation Hayao Miyazaki. 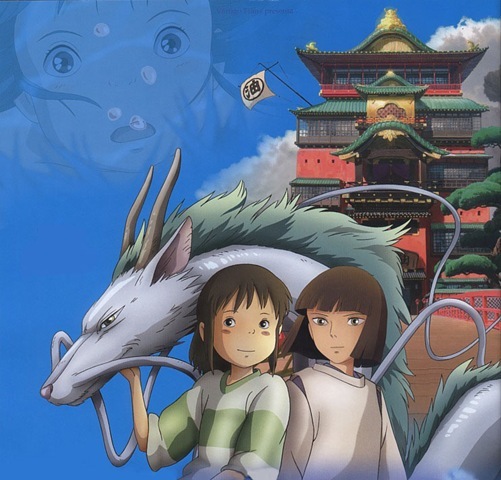 Over the next few weeks, we will be taking a look at the works of Hayao Miyazaki and Studio Ghibli in which I will be sharing my thoughts about these masterpieces of Japanese animation. Also I will be introducing a new segment entitled Afc Showcase, in which I will be conducting interviews with some of the key players in the anime industry, fellow anime bloggers and much more. I will be providing more information about how you can participate in Afc Showcase in the weeks to come, so stay tuned for further details. All this and the latest news, reviews and other cool things from around the anime industry and everything in between. Anime Full Circle is looking good!!!!!!! So until next time, remember that their is a ton of great anime and manga out there. All you have to do is find it. Ltrs. You are currently browsing the archives for the Afc Coming Attractions category.